In celebration of Makahiki and all things abundant in our lands, waters and communities, we invite you to participate in our first major social media campaign! The work to restore abundance by the kūpuna, uncles, aunties, mākua, and youth of E Alu Pū, Hui Mālama Loko Iʻa and the Limu Hui is an ʻauamo (burden, responsibility) carried on their shoulders. Together, the load is lightened but no less tiring. Makahiki is a time to rejuvenate– to enjoy the fruits of our labor, and celebrate in games and merrymaking. Kahiau Wallace of Kahana had the brilliant idea of celebrating by sharing pictures of our respective places that we love and nurture. Something every single person can do and something that will reinvigorate the ʻiʻini (yearning, strong desire) to continue to carry the ʻauamo…or maybe even pick it up for the first time. 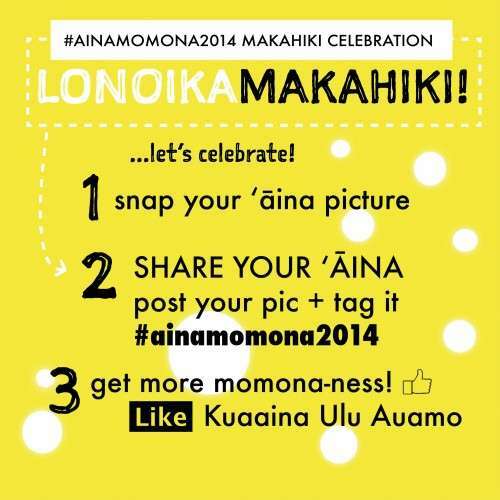 You can share your visions of ‘āina momona on Instagram or Facebook. Hashtag #ainamomona2014 so it bundles together with photos that other people post. 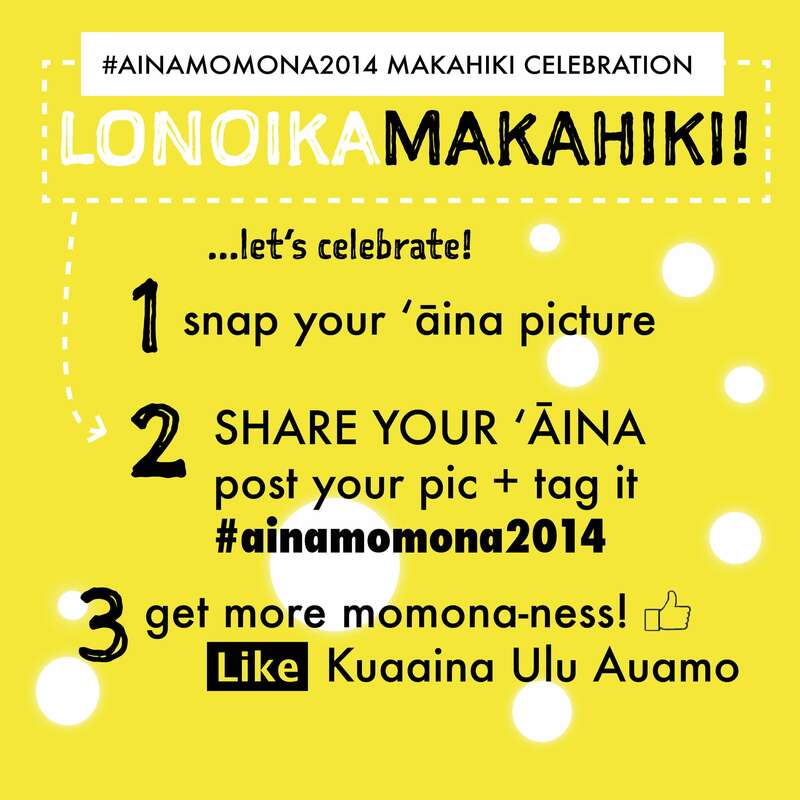 And while you’re at it, follow us on Instagram (@kuaainauluauamo) and like us on Facebook (Kua’āina Ulu ‘Auamo).